What is the best-known image of the 1862 Battle of Fredericksburg? It may be one based on an artwork or artifact highlighting the courage shown by Federal bridge-builders on the Rappahannock or by the Union troops who charged Marye’s Heights and the Stone Wall. Or perhaps it’s an image of the same attribute among the Confederates who opposed them at those places or at Prospect Hill. Many among us may think first of pictures (or statues) of Richard Kirkland’s mission of mercy, or the suffering of civilians in ruined homes or as wintertime refugees. During the battle’s recent sesquicentennial, the nation found new visual inspiration in a set of highly evocative battle artifacts shared in the New York Times. 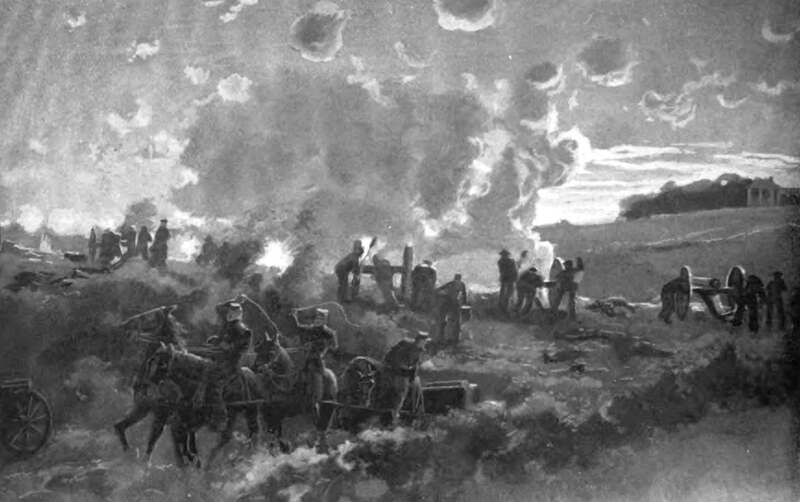 A c. 1907 depiction, now rarely seen, of supporting operations for the final Union assault at Fredericksburg, December 13, 1862. Battery E, Massachusetts Light Artillery (Phillips’) fires just before or during the evening attack of Getty’s Division—Getty’s infantry evidently hidden by the rise in middleground. The general terrain around the battery appears here with reasonable accuracy, although what’s presumably the Marye House, upper right, has been artistically shifted southward along the heights, and sports what is actually its postwar portico. From: Walter F. Beyer and Oscar F. Keydel, eds., Deeds of Valor 1: 108. This post examines what has at times been one of the nation’s most widely publicized and powerful images of the Battle of Fredericksburg: a tableau described in a poem published shortly after it ended. 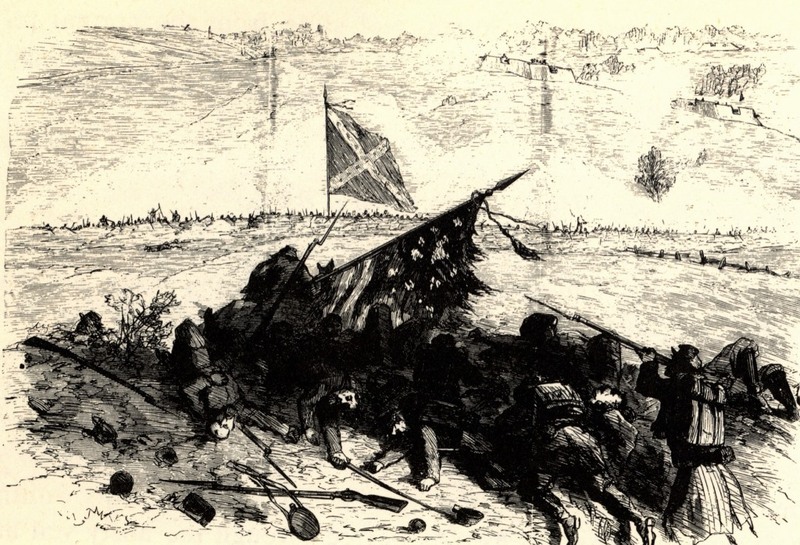 The poem centers around a pair of Union soldiers in wrenching conversation, moments before they accompany a hopeless assault at Fredericksburg–the “last fierce charge” on December 13, 1862. Since February 1863, the poem has been shared among countless Americans, in venues that included the Civil War-era camps and parlors that hosted printed copies of it; the front porches, kitchens, and theaters across the nation that saw postwar performances by singers and musicians who set the poem to music; and a wide variety of places where artists shared their interpretations of the song as recordings or live, amplified renditions after folklorists and musicologists sparked a new round of interest in the poem and its story. Yet many who came to read the poem or hear the song were unaware of the initially specific setting at the December 1862 Battle of Fredericksburg. Masthead for the Harper’s Weekly issue that carried the poem, when its story was still set at Fredericksburg specifically. They might never meet again. He was only a boy, you know. Who were all the world to him. With a calm and hopeful smile. “Charlie, my hour has come. For me when I am gone. And a smile like morning light. When she promised to be my wife. And where is my resting-place. Oh, write to her tenderly. She kissed me and sent me on. Straight they went toward the crest of the hill. Plowed rifts of death through their toiling ranks, And jeered them as they fell. And the stern dark man who marched by his side Lay dead beside him there. And stands by his side again. By the mid-1880’s, the poem had reappeared, in Missouri, as the lyrics for a song. In the early twentieth century, musicians were performing it widely and also modifying the text and title. At times, the title was given as “The Charge at Fredericksburg,” while at others “The Battle of Gettysburg,” “The Last Fierce Charge,” and “The Two Soldiers.” (Some versions of the song, with “Fredericksburg” likewise dropped from the title, were presented as tableaux of the Battle of Bunker Hill or the Battle of Little Bighorn.) In a midcentury study, musicologist George Malcolm Laws found that the poem-turned-song had also been reported in Arkansas, Georgia, Kentucky, North Carolina, Ohio, Texas, Utah…even Nova Scotia. 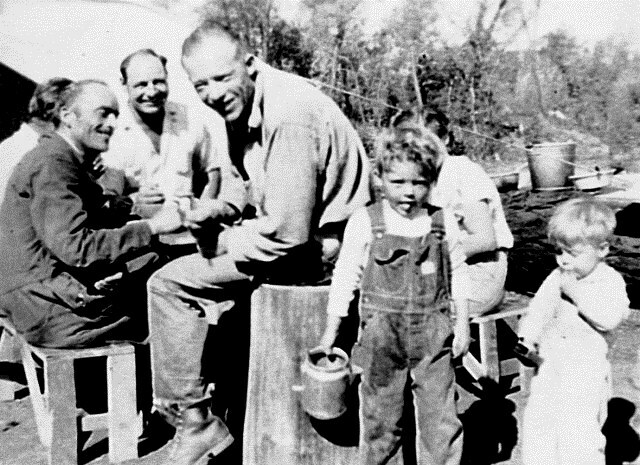 Warde Ford, sitting at left in dark clothes, photographed in 1940 among friends and family “waiting for construction jobs on the Shasta Dam” one year after he recorded “The Last Fierce Charge.” Courtesy Library of Congress. In 1937, James Monroe Gevedon performed “The Two Soldiers” in Kentucky for musicologists Alan and Elizabeth Lomax. The recording that resulted—ultimately deposited at the Library of Congress in two parts on two separate tapes, along with other soon-to-be-influential Lomax collections—used “It was just a blue-eyed Boston Boy” midway through the song, evidently where “Tears dimmed the blue eyes of the boy” had occurred midway through the poem. Probably unaware that Pt. 1 of the Gevedon recording was Pt. 1 of the song—as opposed to a duplicate or false start—Mike Seeger (younger half-brother of musician Pete Seeger) re-recorded only Pt. 2 of the Gevedon version, which began with the “Boston Boy” line…on Seeger’s album for Vanguard (1964). The Seeger structure for “Two Soldiers” proved influential, becoming the inspiration for recorded versions by Alice Gerrard and Hazel Dickens (1973 and later; Gerrard being married for a time to Seeger), Jerry Garcia (1987 and later), Bob Dylan (1991), the Cowboy Junkies (2005), and other artists. The unintentional removal of the song’s first half seems to have been discovered in the 1970’s, but by then the shortened version had taken on a life of its own. The creative benefits of evolution and popularization aside, the poem’s original story not only had lost half of its text, its setting and origins had become mistaken, obscured, or lost entirely. None of the recordings—except one of the Gerrard/Dickens versions—mentioned Fredericksburg in the lyrics or accompanying commentary. And the meager specifics of the poem’s authorship seem to have been forgotten altogether. In February 1863, Harper’s Weekly had published it over the initials “L.C.M.” (It would reappear on wartime newsprint at least once, in The Pittsfield, Massachusetts Sun of June 25, 1863, but by then lacked even initials for attribution.) 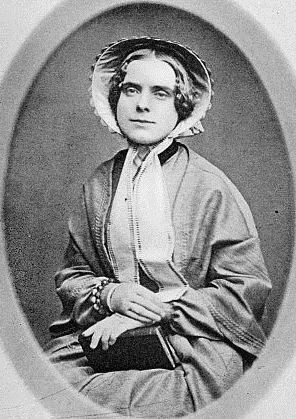 Some scholars later credited the poem and the song to Virginia Frances Townsend; her 1864 compilation, Battle-Fields of Our Fathers, was evidently the first book to include the poem. When the poem appeared in the Toledo Blade’s “Poet’s Corner” column in 1916, it lacked both attribution and any reference to Fredericksburg, the title now reading “The Last Fierce Charge.” Perhaps the poem’s own strands of evolution, trending towards geographic vagueness, had influenced those of the song. Louise Chander Moulton, photographed a decade before the publication of “At Fredericksburg.” From: Lilian Whiting, Louise Chandler Moulton: Poet and Friend, p. 34. Moulton, then, possessed a longstanding relationship with the publisher of “At Fredericksburg,” was writing during the war and about war subjects, and by 1870 was using the same signature line that had appeared with that poem. If not attributable to changes made by an editor, the poem’s principal flaws as military history further indicate that its author was not a soldier, a nurse, or some visitor having firsthand experience with either the battle or the Army of the Potomac. (I was unable to locate any record of Moulton making such a visit.) The poem implies that the last attack at Fredericksburg involved Union cavalry. In reality, no mounted men—other than, conceivably, couriers or officers here and there—went forward with the infantry of Brig. Gen. George Getty’s Division of the Army of the Potomac during its assault on Marye’s Heights, the last major attack at Fredericksburg. Indeed, the only Union cavalry units to see action, anywhere, were three regiments involved in a reconnaissance-in-force made early that morning, and in a fog probably too thick to afford any sobering views of enemy occupied hills. To confuse matters further, characters otherwise acting in the poem as riders are described at one point as having “marched” many a mile. 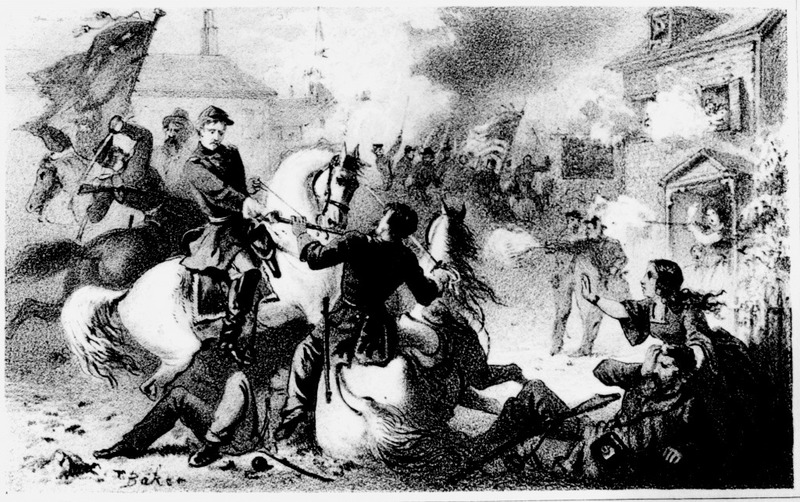 A contemporary artist’s impression of Dahlgren’s November 1862 raid on Fredericksburg. Copy courtesy Fredericksburg and Spotsylvania NMP. 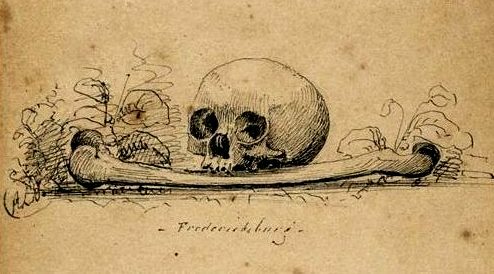 The poem’s author (or editor) may have drawn inspiration from reports of Union Captain Ulric Dahlgren’s dramatic cavalry raid on Fredericksburg one month before the battle, with the poem merging raid and battle into a single event. Perhaps, too, the cavalry background was suggested by the especially tragic, lingering death of the dashing Union cavalry Brigadier, George Bayard, struck by a Confederate artillery round during the battle and buried on the day that had been scheduled for his wedding. Additional or alternative inspiration may have come from a newspaper account by someone actually present for Getty’s attack—or for one of the other major Federal assaults—or from an eyewitness report by one of the many people with whom Moulton corresponded. The diary of Timothy J. Regan, a soldier in the Ninth Massachusetts Infantry and participant in one of those earlier attacks (but not among Moulton’s known correspondents) attaches “At Fredericksburg” and two other poems to the end of the last entry for 1862—December 31. While it’s unclear why this placement in the diary appears to predate the Harper’s publication, in February 1863, Regan’s prefatory note states that “At Fredericksburg” was inspired by departing Federals making a final search for wounded on December 16 and spotting two dead Union soldiers lying together “on the hill side” close to the Confederate fortifications, the eldest man holding a “beautiful” girl’s image. Federals in front of Marye’s Heights at Fredericksburg, December 1862. Copy courtesy Fredericksburg and Spotsylvania NMP. Regardless of the poem’s uncertain means of inspiration and the subsequent obscuring of its setting in both lyrics and verse, it offers a nuanced perspective on the Civil War. The historian Drew Gilpin Faust makes no mention of “At Fredericksburg” or its derivative song in her fine book, This Republic of Suffering: Death and the American Civil War, but her general analysis of an earlier poem-song story, “All Quiet on the Potomac Tonight,” in which “sentimentality and irony grew side-by-side,” seems apt for the Fredericksburg poem-song as well. “At Fredericksburg” offers assurance that war does not destroy individuality—the two soldiers apprise their danger in full and plan mitigation best suited for each man—as well as assurance that parents and sweethearts would be foremost in the thoughts of the dying. (Perhaps the poem helped inspire George F. Root to pen the lyrics to “Just Before the Battle Mother,” published in late 1863 and likewise making loved ones the preoccupation of soliders who are preparing for combat “with the enemy in view.”) And yet the poem and song “At Fredericksburg” end with the tragic irony of those plans being thwarted. The two soldiers are even “jeered” as they fall—in a futile attack on the Fredericksburg heights “they could not gain” (the poem in that sense quite accurate for the outcome of the last Union attack). Their particular loved ones are left without the comfort of knowing their final thoughts, at least until the time when everyone can reunite across the River of Death. Sources in general order of use above–widespread appearance of song, backstory on its tune: Norman Cazden, Herbert Haufrecht, Norman Studer, eds., Folk Songs of the Catskills 1: 79; Lyle Lofgren, “Remembering the Old Songs: the Two Soldiers,” Inside Bluegrass, June 1997; “tiompanista” (David James), Aug. 28, 2007, “Lyr Req: Last Great Charge/Fight,” The Mudcat Café; Sprague, Bailey, and Ford recordings: “Victor matrix BVE-39843. The two soldiers / Carl T. Sprague,” Discography of American Historical Recordings; Tony Russell and Bob Pinson, eds., Country Music Records : A Discography, 1921-1942, p. 88; Library of Congress, The Last Fierce Charge [illustrated], Notes; Gevedon’s and later recordings: Lofgren; “Two Soldiers,” The Grateful Dead Family Discography; obscuring of attribution and of Fredericksburg setting: Harper’s Weekly, Feb. 7, 1863; “tiompanista” (David James), Aug. 26, 2007, GUEST.Lighter, Aug. 28, 2007, “Artful Codger,” May 8, 2009, “Lyr Req: Last Great Charge/Fight,” The Mudcat Café; Toledo Blade, Mar. 23, 1916; Mudcat Café discussion: “Jim Dixon,” Aug. 29, 2007, “Peace,” Aug. 28, 29, 2007, “Lyr Req: Last Great Charge/Fight,” The Mudcat Café; Moulton’s Civil War era publishing: Sigrid Kelsey, “Moulton, Louise Chandler (1835-1908),” in Women in the American Civil War, pp. 404-5; “Moulton, Louise Chandler,” The National Cyclopaedia of American Biography 3: 365; Dahlgren, cavalry, Bayard, Getty at Fredericksburg: Francis Augustin O’Reilly, The Fredericksburg Campaign: Winter War on the Rappahannock, pp. 14-16, 114-15, 244, 414-22; Moulton’s numerous correspondents: Library of Congress, Louise Chandler Moulton papers, Subjects; inclusion of poem in Regan diary: Ken Pluskat and David Newton, eds., The Lost Civil War Diaries: The Diaries of Corporal Timothy J. Regan, pp. 111-116; Faust on “All Quiet on the Potomac”: Drew Gilpin Faust, This Republic of Suffering: Death and the American Civil War, p. 264; “Just Before the Battle Mother”: Robert B. Waltz and David G. Engle, The Ballad Index, Just Before the Battle Mother. A remarkable story of a muse rediscovered. Thank you Noel. As always, in-depth, and insightful. Noel, this is wonderful discussion (detective story!) of a poem’s decades-long metamorphosis in verse and song. And in my opinion, you have amassed solid evidence establishing the solemly-appearing Ms Moulton as the verse’s author. Incidentally, is there anyone but me a bit unsettled as to how, “At Fredericksburg” opens? Civil War songs, on both sides, are famous. I never know the history behind this one, though.